Hidden messages that must be decoded or interpreted. 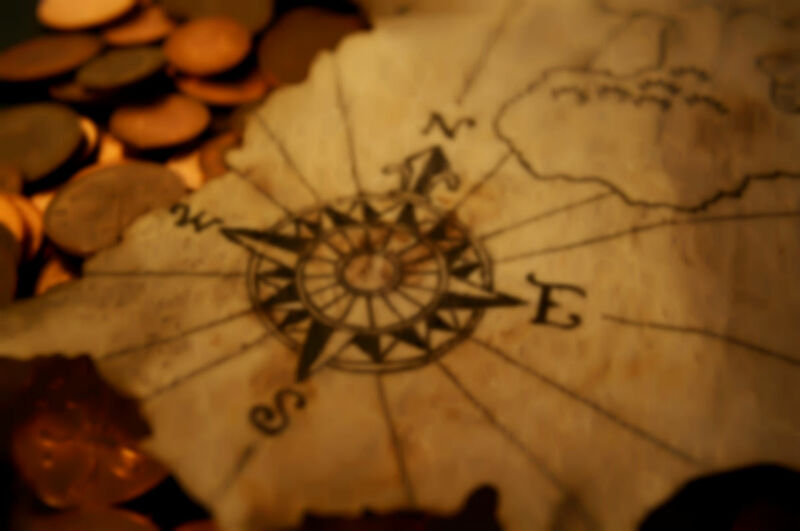 These ideas give ways to encode clues rather than providing encoded clues, so that you can build your treasure hunt as you like. The location of the next clue is an anagram. The location of the next clue is encrypted with letter replacement. Hunters are given a clue spelt out with maritime flag signals. The location of the next clue is written in a foreign language. The letters on the correct path through the maze spell out the location of the next clue. The location of the next clue converted into morse code. Clues are converted into pictures, where each word is a drawing. Treasure hunters are given a quote from a book or DVD, in which the next clue is hidden. A riddle leads to the next clue, or must be answered by the treasure hunters to earn their next clue. Deliberate spelling mistakes in the clue's text hide the location of the next clue. The location of the next clue is converted into the symbols using the Wingdings font.